There are plenty of reasons why you might wish to consider a new hairstyle: an important job interview, a new date or simply a change of routine can all be common reasons for a new hairdo. In years past, we had to take ourselves directly to the salon in order to find out about all the different hairstyles available to us based on hair type and length, but technology has made it possible for us to take care of this step before we ever visit a cosmetologist. A variety of mobile applications in particular have made it possible for us to browse hundreds of different hairstyles without making any commitments. Below, we will discuss four of these apps and how each one can offer great benefits to you. 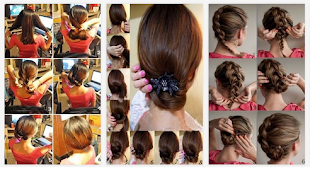 Anyone who wants to create dozens of beautiful hairstyles, braids and bonnets without the need for visits to the salon or costly accessories will appreciate the Hairstyles With Their Hands app, which is available for download on the Android Marketplace. The hairstyles are divided into two categories – daytime hairstyles and evening hairstyles – which helps users find the perfect do for social or professional occasions. A favorites section is included, which allows users to quickly add their desired hairstyles to it for future reference at any time. The Hairstyles With Their Hands app is a free download. Displaying all the latest fashions for 2013 is the Hair Design application, which can be found on Android devices and is a free download. More than 500 different designs have been included in the Hair Design app, and each includes a tutorial on how to achieve the do in just a few steps. News and events about the latest hair trends are also available via the application. A wide selection of hair products is also covered, which can help users find out which ones are best for their hair and used with select hairstyles. Perfect for do-it-yourself types, the Hair Design app helps you save money and time on visits to the salon. This comprehensive application will help users find the perfect hairstyle for their needs – and there are more than 300 of them included! The How to Make Your Hair Look Fab application for Android devices includes videos, tutorials and tips for daily maintenance and styling in order to ensure that your hair looks exactly as intended. Whether you wish to use organic products or create a rocking hairstyle for the nightclub, there is a tutorial included that can help you achieve it. Currently available for free via the Android Marketplace, the How to Make Your Hair Look Fab app truly is a 'fab' solution for hairstyle variance. In the past couple of years, big, luscious braids have become all the rage: the Weaving Braids app for Android smartphones may be the best app out there to help you achieve this look! 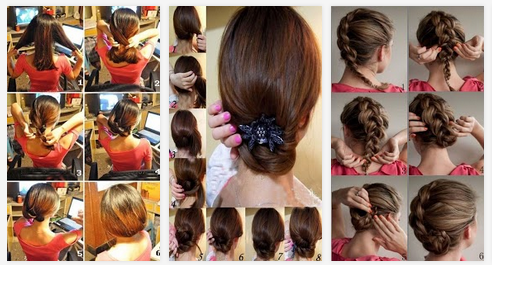 Once downloaded, users can peruse more than 60 different braiding techniques in order to find the perfect one for their needs. Pictures, step-by-step instructions and additional tutorials for a variety of hair care regimens are also available via the app, which is a free download via the Android Marketplace. Anna Baker is a salon manager who writes for Truly You, a professional hair care clinic providing extensive products and services related to hair care and treatment. Her other hobbies include skiing and martial arts. Read more about her company by clicking here.